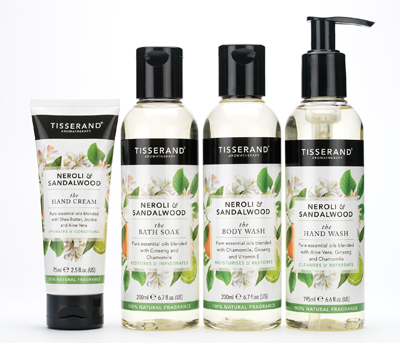 Take a moment to refresh your mind with the Tisserand Neroli & Sandalwood collection, a comforting range of skin-pampering products to immerse your senses in. Rejuvenating and exciting, the collection features empowering neroli, bergamot and ylang ylang essential oils to nourish and re-boost your mood, whilst balancing sandalwood, ho wood and patchouli nurture your soul when you need it most. Featuring a range of daily essentials to soothe and restore your skin, the Tisserand Neroli & Sandalwood collection is the perfect way to comfort your senses.